As far back as 1938 the Wehrmacht had realized that the Panzer III and Panzer IV tank would need to get replaced by a modern-day model a while later on. Numerous prototypes were designed by a few German manufacturers, but none was put into manufacturing. At the start of 1941 an acquisition had been set with Henschel for a 36-ton tank named the VK 3601 which was recommended to have a greatest speed of 25 mph (40 km/hr), fine armour thickness and a strong weapon. A model of this tank was produced but additional work was ceased as the demand was set May 1941 for a 45-ton tank referred to as VK 4501. The order to design the VK4501 (H), later known as Tiger tank, was issued on 26 May 1941. Henschel und Sohn, of Kassel, were to develop the chassis. Krupp was to develop the turret for both the VK4501 (H) and the VK4501 (P). Rheinmetall also developed a turret for the VK4501 (H) to mount the 7.5cm KwK L/70, but it never advanced beyond the prototype stage. Lessons learned in the development of the VK3001 and VK3601 were beneficently applied to the design of the VK4501 (H). Production was planned to start in July 1942, with 285 to be completed by 12 May 1943, in time for proposed the summer offensive of this year. When the Porsche model VK4501 (P) production was halted, the VK4501 (H) production order was increased by 50 to make up for the loss. The manufactured Porsche Tigers were later converted to the heavy tank destroyer ‘Elefant’ (Elephant) or ‘Porsche’. Production finally began to start slowly in August 1942. At the time of its introduction, the Tiger I tank the strongest of all forces, because its 88mm gun was extremely effective, nd the armor so strong that no shot from normal combat distance could penetrate it. The Tiger I was replaced in 1944 by the King Tiger tank (Tiger II). 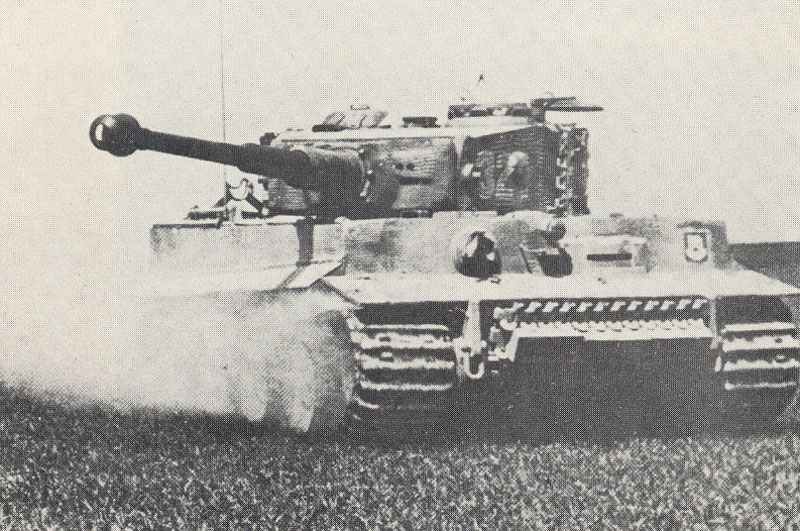 Until August 1944, 1,300 Tiger I were built, which is not much when you consider the impact on Allied combat morale, which they had acquired by then. Hitler and Dr Porsche visited the prototype of the Porsche-Tiger. Front view of a new Tiger tank. Side view from above of a PzKpfw VI Tiger. PzKpfw VI Tiger I with the narrow tracks that were put on travel or transportation; in this model the outer wheels were removed from each suspension unit. This PzKpfw VI Ausf.E was captured just before by British troops in Tunesia. Today this PzKpfw VI Ausf. E can be visited at the RAC Tank Museum, Bovington Camp, Dorset (UK). The first Tiger tanks were issued in December 1942 to the heavy tnak battalion of the LAH. Theyvwent into action in February 1943 during the fighting in the Kharkov area. Tiger tank of the 7th Tank Division were prepared at Bjelgorod for Operation Citadel, the Battle of Kursk (July 1943). PzKpfw VI Ausf.E in the deployment. The shelter served as weather protection for the crew working on the vehicles, but above all as an air cover. But the Tiger was not invincible: a burning Tiger, hit by Russian defense fire south of Orel during Operation Citadel. A PzKpfw VI Ausf. E in Rome, 1944. In a forests of the central Russian front meet two German Tiger tanks. One goes back for ammunition supplement while the other rolls forward to a new combat mission to support the front troops in their heavy defense fighting. Replenishing ammunition of a PzKpfw VI Ausf.E . ‘S’ mine dischargers which fired small anti-personnel mine, are mounted on each corner of this Ausf E’s hull. German counter-strike with Tiger tanks in East Prussia. Remote-controlled model of Tiger tank. The Pzkpfw VI Tiger had eight sets of interleaved road wheels with torsion bar suspension to support its 57 tons. The hull and superstructure were welded together, with the superstructure extending over the tracks to allow the installation of a wide turret. The 8.8cm KwK36 was mounted coaxingly with a MG34 in the external gun mantlet. The turret was formed from a plate bent to the shape of a horseshoe. Originally, the turret had two machine-pistol ports in the rear, and a cylindrical cupola with vision slits. In December 1942, the right-hand pistol port was replaced by an escape hatch, and in July 1943, the cupola was replaced by a newer design with periscopes. In May 1943, the automotive performance was improved by the installation of the HL230P30, and in January 1944, new steel-tyred, rubber­cushioned road wheels replaced the dished type. As the Wehrmacht designed a lot more potent tanks with higher protection (Tiger) or mobility (Panther), they nevertheless taken care of all the fire control functions from previously types. Even more than the armour on these tanks, it had been the fire control performance that made these tanks so deadly, especially at long-range or medium fire range. Yet within the firepower parameter lies one the most important secrets of true combat capability. Eighty-four Tiger tanks were equipped as ‘Pz Bef Wg’ (command vehicles) mit 8.8cm KwK L/56′. These had additional radio sets, which reduced ammunition stowage to 66 rounds for the 8.8cm and 4,050 rounds for the machine-guns. Additional there was the Sturmtiger, which was re-built from not recoverable destroyed Tiger tanks, with a new superstructure installed with a 14.96-inch (38cm) Type 61 rocket-launcher with restricted traverse. Just ten Sturmtigers were built. PzKpfw VI Ausf. E of tank detachment 502 in combat in the northern sector of the Eastern Front (early summer 1944). Tagged 1942, germany, heavy tank. IF Hitler had been more patient and less cocky, the war could have turned out very differently. As it was, Germany managed to turn most of the world against them and no amount of wonder-weapons or dedicated tough soldiery could save them.. More time and preparation and some diplomacy could have made all the difference between “final victory” and total, ignominious defeat. Now, Germany is half the country it was before ww1… Just sayin, not trying to “refight” that war! 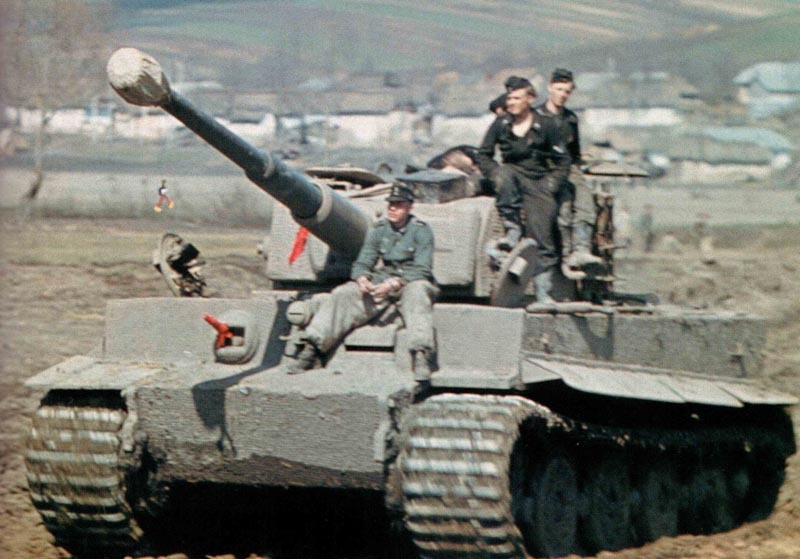 The Tiger series is one of the best tanks to come down the line in terms of firepower and armor .. German manufacturing was simply unable to supply the numbers and replacement parts needed.